The man accused of shooting a woman in front of 15 elementary school students at a bus stop in Prince George's County has turned himself in to police. 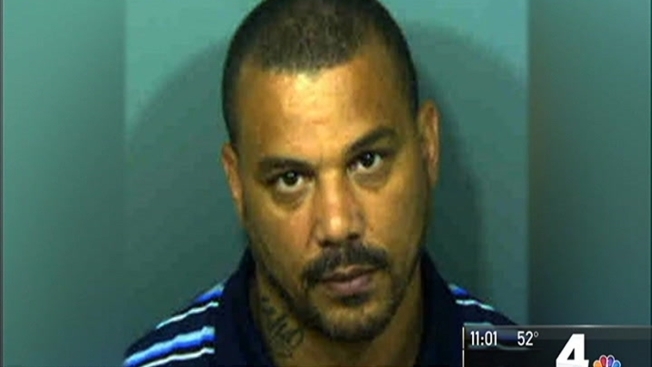 Roland Eugene Simms, 42, was arrested Wednesday morning, Prince George's County police said. A woman in her 30s was waiting with her three children about 7 a.m. Tuesday at Winthrop and Chester streets in Oxon Hill when a man jumped out of the bushes and tried to grab one of her girls, witnesses said. An argument escalated into a fight and then shots were fired. The woman fell to the ground, and the shooter ran. The victim is recovering in a hospital. Police have not said what charges Simms will face. "It's really sad kids have to deal with that," said Keith Grant, whose daughter witnessed the shooting. "Kids were running everywhere." Forest Heights Elementary School got police protection and counselors to console the students Tuesday. "A number of them were shaken up by the incident, which is understandable, but they're all doing pretty well," said Raven Hill of Prince George's County Public Schools on Tuesday. "Psychologists and counselors have been with them all day."